Solutions For Automotive - Electronic Communication Services, Inc.
A Mitel communications solution gives employees better control over their communications, so they can prioritize their interactions and work more productively. 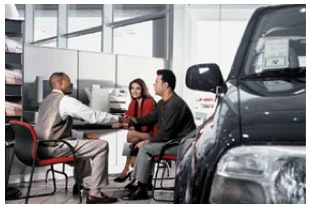 It also allows the dealership to automate key processes, such as incoming call handling and outgoing service reminders. Mitel engineers and process specialists understand the unique needs of dealerships and can help design a customized solution to streamline operations, improve customer service and help sales teams close deals more effectively. "Electronic Communication Services is a solid business partner and we look forward to many more years of working together." Increase Your CSI Scores: Provide your customers with 24/7 access to information and services, and empower your staff to respond more quickly and effectively to customer requests for better Customer Satisfaction Index scores. Boost Productivity: Improve collaboration and communication efficiency, and increase the mobility of your sales team and service techs. Reduce Costs: Automate repetitive communications, including incoming call handling and service reminders. Grow Your Business: Create automated sales outreach campaigns that bring in business without overloading your sales teams. Improve Information Flow: Help everyone in your organization manage their communications and access information more efficiently and with less disruption.